There’s a real treasure hunt going on at Sky Casino right now. 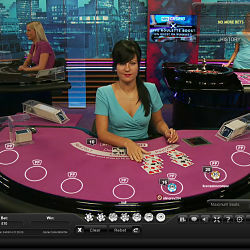 Lucky Green Cards have been hidden in among the decks at all of Sky Live’s Blackjack tables. Any player lucky enough to be dealt one of these cards will receive £50 in cash. That’s not all; it’s even possible that every player at the table could come away £50 better off. Keep on reading to find out how. Four mysterious Lucky Green Cards are waiting to be discovered in the decks of every Sky Live Blackjack table all week long. If you come across one of these cards then you will be rewarded with £50. This prize money is credited to winners’ accounts the very next day and comes in the form of cash. That means there are no wagering requirements or terms and conditions attached- it’s yours to withdraw straight away! To make the promotion even better, if the dealer gets a green card then every single player with a hand at the table will receive £50. Joining in the search for those valuable Green Cards couldn’t be easier. All you have to do is sign in to Sky Casino any time between now and February 5th and start playing at the Live Blackjack table. That’s really all there is to it! As you play, there will be four lucky cards hidden in the deck and if you find one you will get your cash the following day. All registered members of Sky Casino are welcome to get involved with this promotion. Players can win a maximum of four Lucky Green Cards each. Please note that the offer runs from 30th January-5th February. £50 Green Cards will only be hidden in the Blackjack decks during this time. Unlimited Blackjack is not included in the offer.